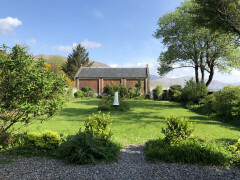 Corran Lighthouse Lodge is situated on the shoreline of Loch Linnhe, a beautiful tidal sea loch on the West Coast of Scotland near Fort William. 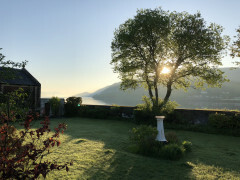 Accommodating up to 10 guests in five en-suite bedrooms the Lodge is at the gateway to the magical Ardnamurchan peninsula. From the Lodge there are fabulous views down Loch Linnhe across to the magnificent Glencoe mountain range and Ben Nevis. The Lodge is converted from the original lighthouse keepers' cottages into luxurious self catering holiday accommodation providing 5 double or twin en-suite bedrooms, a large elegant lounge with wood burning stove and a charming country kitchen. The large private walled garden is perfect for barbecues and has direct access to the beach. 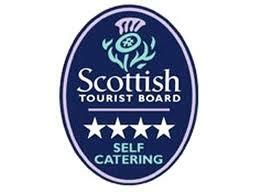 There are excellent amenities in the village of Ardgour and nearby Fort William.